Need more information on Wuyi Chuangxin Metal Tools Co Ltd in China located in Jinhua? 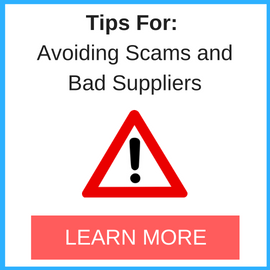 If you’re considering doing business with this company, read below to read one buyers experience with when they were looking to source Hoverboards from them. You will also find some links to help you find more related information about Wuyi Chuangxin Metal Tools Co Ltd in China on Supplier Blacklist and on Google as well as other bad suppliers of Hoverboards reported here on SBL. Initial order was okay, 2nd order too. But CE papers were not valid, on last order authorities reported to have found too high values of LEAD in the electronics. Items were refused by European customs authorities. Wuyi Chiangxin stopped support and is now no longer reacting or answering either us or German-Chinese chamber of commerce. More than 40.000USD outstanding balance (value or returned items), no more answers to any contact tries. As long as everything runs smoothly: Everything is okay. 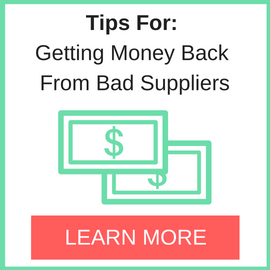 But if there are ANY problems: No support AND no payment back ! Will have to start lawsuit in china- result unknown. Need More Info on Wuyi Chuangxin Metal Tools Co Ltd in China? If you need more information, you can click the below links to search for more submissions about Wuyi Chuangxin Metal Tools Co Ltd in China on Supplier Blacklist as well as go to the search results page on Google for more reviews online about this company. 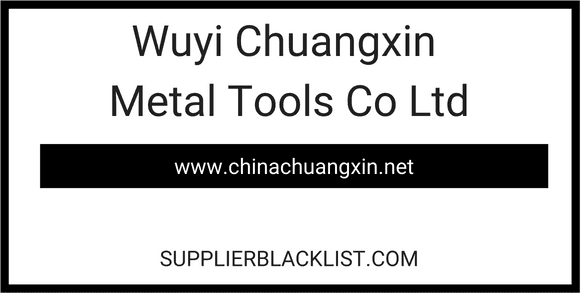 Perform a Supplier Blacklist search for more reviews on Wuyi Chuangxin Metal Tools Co Ltd in China. Search Google for Wuyi Chuangxin Metal Tools Co Ltd in China Reviews.